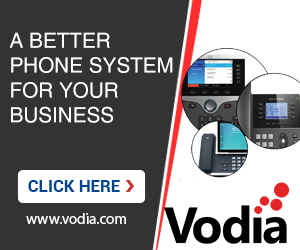 well,i am using the latest version of vodia PBX and my question is if this version supports personal address book. I can use the global address book and provision this to all registered users,but how can i add a contact to a specific user without using his device? There is a domain address book and a user address book. In addition to that you can have your Google address book synced into the PBX as well as the Exchange address book. Most phones use LDAP to query the address books, this is set up during the provisioning process. You can add entries through the web interface, either in the domain mode or in the user mode (logged in as user). The domain address book entries are shared with every user in the domain. There is a option in the ACD that it automatically adds entries to the domain address book. Nobody stops users from adding address book entries in their devices. However this is out of scope for the PBX. I can not find user address book,i have synced 2 contacts from my gmail but i can see them only at my snom phone,they are not displayed when i sign in as user. Also,logging in as a user i can only see extension's presence and there is no option for adding/deleting contacts. I have been searching for this question or info, but cannot seem to find it. Our customer would like to have all the domain contacts (ie John Smith ext. 222 etc) published to his phone. Is there a way that the phone could pick up this information from Vodia. Is the only way to do this, is to maintain an active list of extensions manually, and then load them into the phone book, and then format them again, and manually import them into each phone. Surely there must be a better way than what i have described. Just to clarify, for phone, i mean Yealink or Grandstream, not cell phone. For Yealink and Grandstream we provision the settings that are needed to pull the address book from LDAP - this should work completely invisible to the user and just work. If there is a problem I would try to get a PCAP trace (Yealink can do this right from the web interface) and see if there may be a problem in network layer doing LDAP. Thanks again for the quick reply, but it is woefully short of details. There are no phonebook entries now in a Yealink or Grandstream phone I have looked at the LDAP setting on a actual Yealink phone, and it appears to be provisioned for LDAP and enabled; yet, there are no contacts in the directory. I have looked at the directory for Local, Remote and LDAP and there is nothing. We don't touch the local address book of the phone - users are welcome to use it for "penciling down" their contacts; however to the PBX they are invisible. LDAP is the opposite - nothing stored on the phone, everything comes from the PBX. Yealink has a preference file that tells the phone which address books are available, which is in the yealink_favorite.xml file. Do you see this file being sent to the phone during the provisioning process? i dont really know, as it says that the the pnp file is limited to 2k, so i have really no idea as there are no logs after a certain point. I have the same issue for dial now and logo/wallpaper. Any suggestions, as the phone book is empty. I looked through the yealink_common.txt file again, and i dont see any reference to yealink_favorite.xml file, so i am stumped at this point. yealink_favorite.xml is a separate file that will be sent to the phone. Ok. I don't see any evidence of such. I don't see any entire in the phone nor do I see any evidence if it in the web interface. what do you suggest? You turned on the admin level logs and set everything to level 9 right? Even then, nothing while the phone tries to fetch files? Remember I said earlier there was no logs? Something must be out of sync here ... Are we talking version 62.0? No, sorry. It is an old version...does this only work on v 62? i was just wondering if Grandstream was set up the same way, as i have been told that Yealink LDAP does work on newer phones but the Grandstream does not. Is there a Grandstream favourite.xml file like with the Yealink phones. No Grandstream works completely different that Yealink. In 62 you can always see what was sent to the phone right from the web interface (except the passwords), including the LDAP settings. Usually that helps a lot troubleshooting the issues.